Roswitha told us about the lucky Family-Reunion and especially that you sometimes take a look on our Fidelio Internet Page. Welcome Herold - our first american Fidelio-Fan! Only for you we took this nice picture in German "Lederhos´n" with German beer in front of an original German Weihnachtsbaum (Christmas Tree). 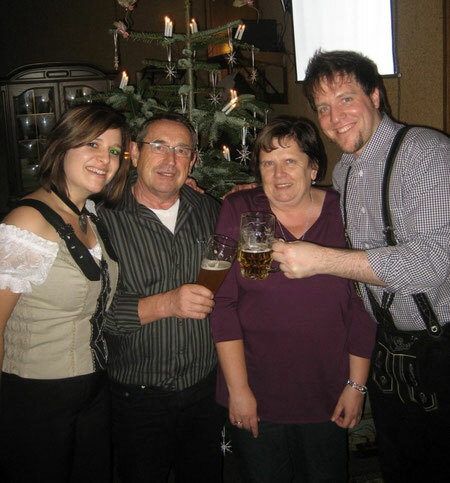 Frohe Weihnachten und ein gutes neues Jahr 2010! and for sure the whole Fidelio-Club!